Seriously, cabbage again? Yes, seriously! I told you I accidentally bought an extra head of the stuff and so I continue to take advantage of the ideas featured in the October Better Homes & Gardens. This is another quick and easy side dish that could be further modified. Throw some feta or blue cheese in there, or a sprinkle of toasted nuts. Eliminate the bacon if you must, although that was my favorite part! 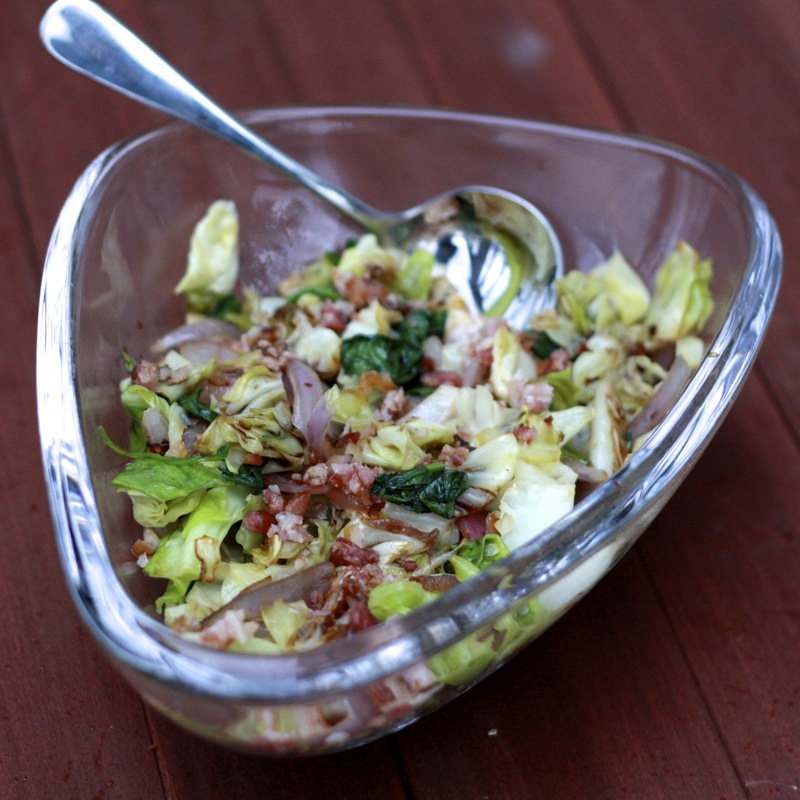 As the temperatures continue to drop, warm salads are the way to go, starting with this one! Sautéed cabbage not your thing? Try it roasted! That's still my favorite! 1. Cook bacon in a skillet. Set aside. 2. Add sliced red onion to the skillet and cook over medium heat until it begins to soften and caramelize (10-15 minutes). Remove from skillet and set aside. 3. Add a tsp of olive oil and the cabbage. Cook for 8-10 minutes, until soft and wilting. Add spinach and cook for an additional 2 minutes. Return onion to skillet. 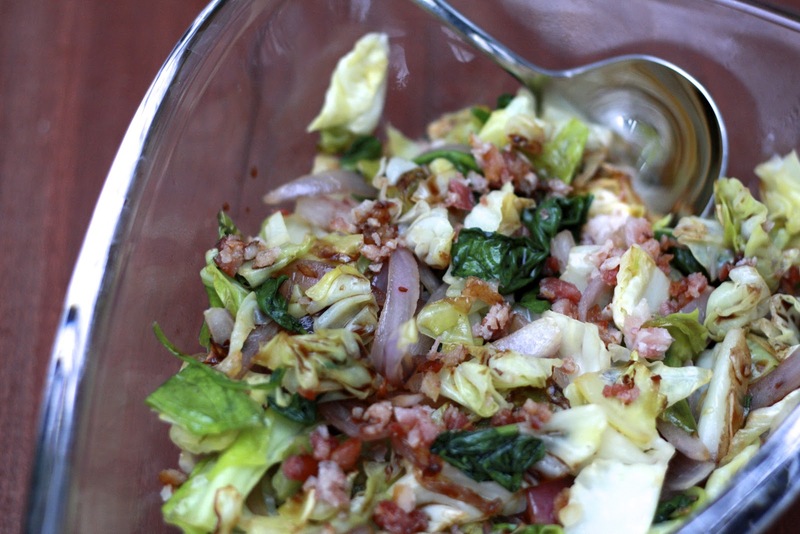 Drizzle with balsamic vinegar and sprinkle with crumbled bacon.